in the spring of 2008, i had a great time looking up all the organic farmers in western washington that i could work with to make my first ice cream flavors. right after i perfected my salted caramel recipe, and just before i tried my hand at reducing balsamic vinegar for balsamic strawberry, i settled on a recipe that i really felt embodied local in the pacific northwest: honey lavender. 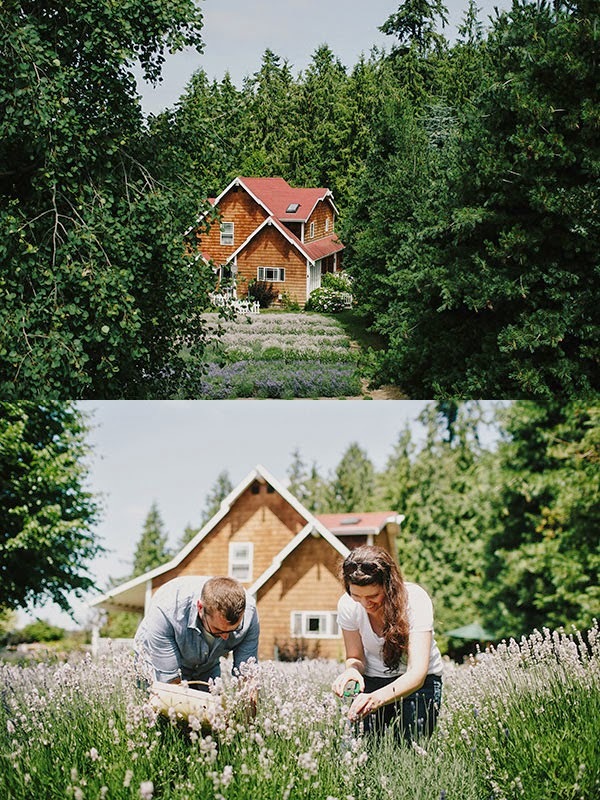 i was using the gorgeous wildflower honey from Tahuya River Apiaries, and found the perfect, organic culinary lavender at Purple Haze Lavender Farm in Sequim, Washington. we've been using that same recipe, and that same lavender for more than six years, but i hadn't gotten a chance to visit the farm until this summer. how sad is that?! 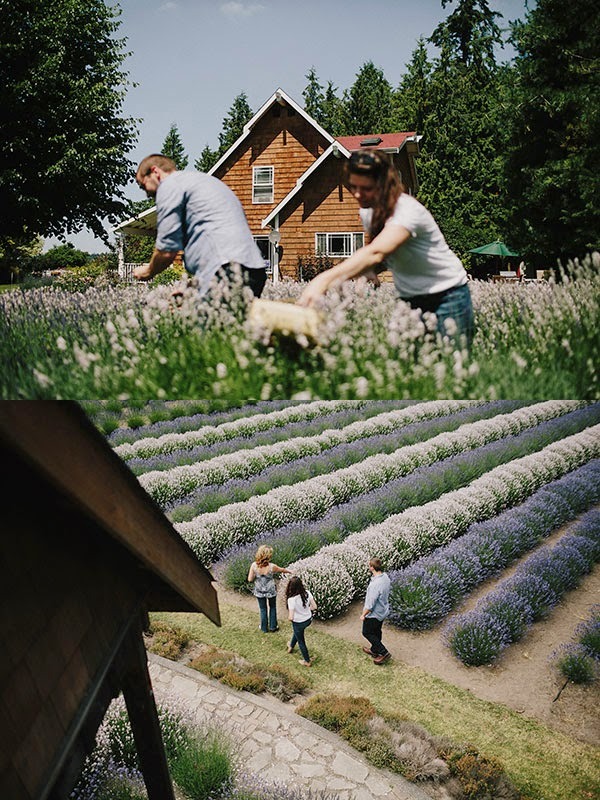 so last month, Ian Willa, the head chef here at molly moon's, and i headed out to Purple Haze to visit with Vickie, the farm's general manager, see the farm, and talk about how much lavender we'll need as a company in 2015. we've gotten to be so big that Vickie let us know this year that we need to start giving her a rough annual number of pounds of lavender so they can plant extra plants for us if they need to, in order to make sure we'll have enough of the beautiful little florets all year long. Ian did the math based on this year's trend, and we told Vickie we'd like about 150 pounds of lavender. thinking about how light and fluffy lavender is, that seems like a crazy amount! it also feels good that we've become such a reliable demand for this farm. they produce about 250 pounds of lavender all year -- and we buy sixty percent of it! 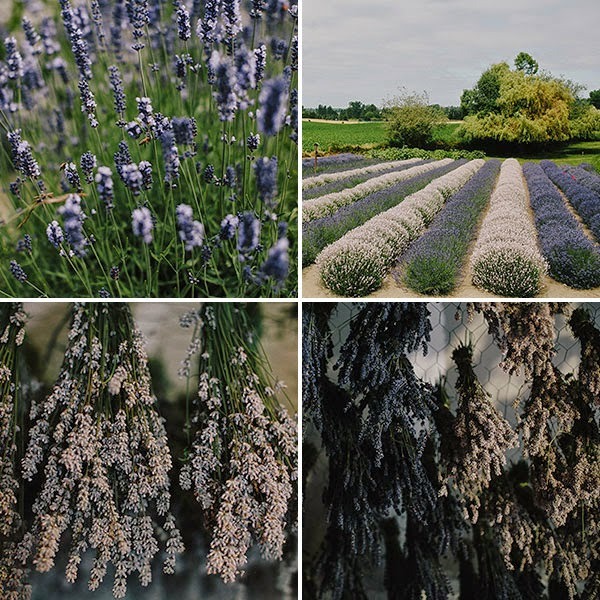 i had a great time learning a little more about lavender and the history of the farm. did you know lavender is kind of its own natural pesticide? so it's one of the easiest kinds of farms to convert to organic ... so cool! also, you can rent the sweet little farmhouse on the Purple Haze farm for family getaways or business retreats. how fun would that be? i'd love to make big, communal meals with the herbes de Provence mix in their farm store and then lounge in the yard with glasses of rosé and mini-scoops of fresh honey lavender ice cream. Ian and I had fun trying out the u-pick lavender experience & brought some home for our coworkers. not a bad way to spend a monday!